We asked you to send us photos of your studios laden in baubles and tinsel for the festive season, and we certainly didn’t get a frosty response. Last week we put out a call to our readers to send in their festive-looking decorated studios – and you responded in droves. 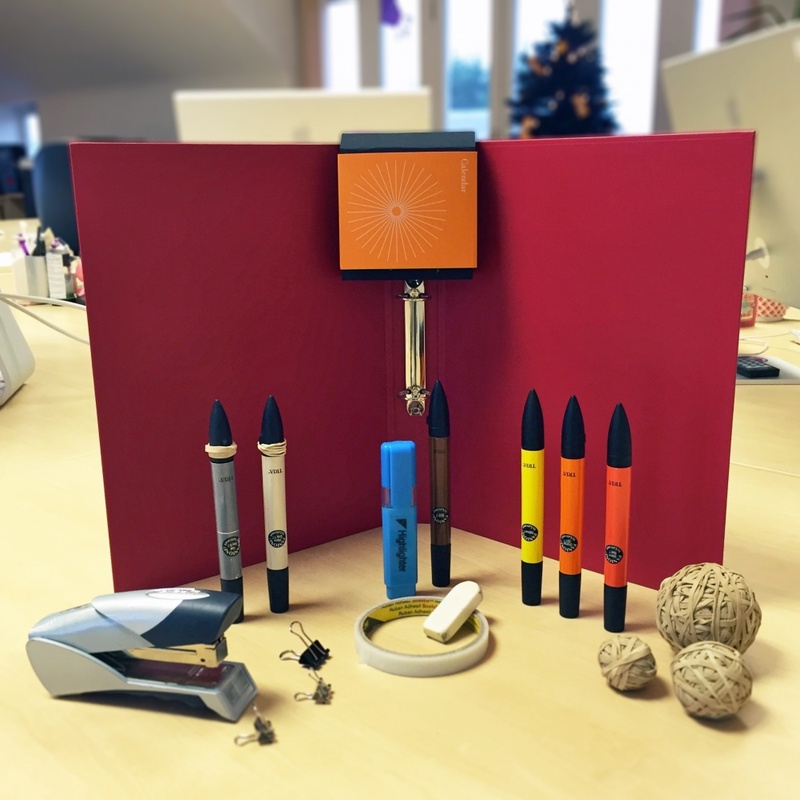 Artisan has turned the Christian story on its head – or into pens and pencils, more specifically. Clever use of a rubber to depict baby Jesus. Though they have drifted slightly from the brief of “design studio” by focusing their efforts on one square metre. Elmwood has composed a Christmas tree out of a tower of wrapped toys, which will later be dismantled and the presents donated to children in the local community. 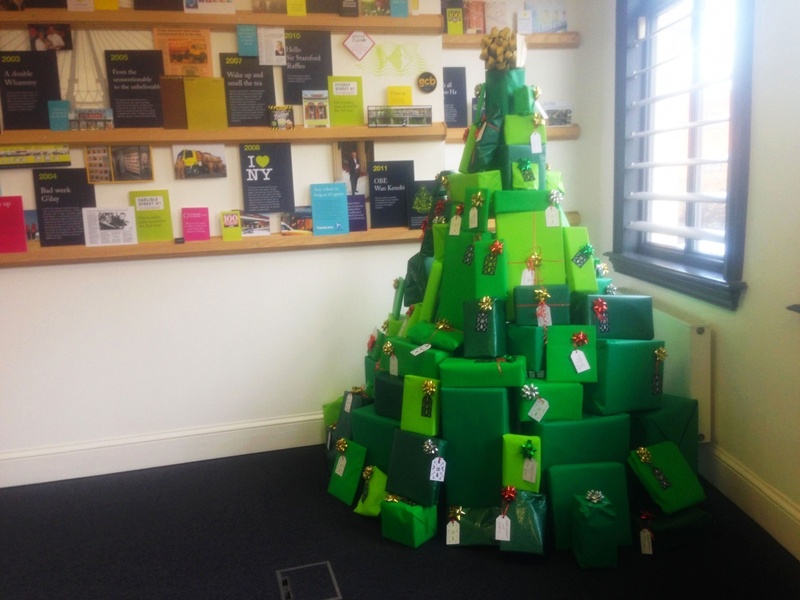 They get points for embracing the true meaning of Christmas – and for constructing a great tree. 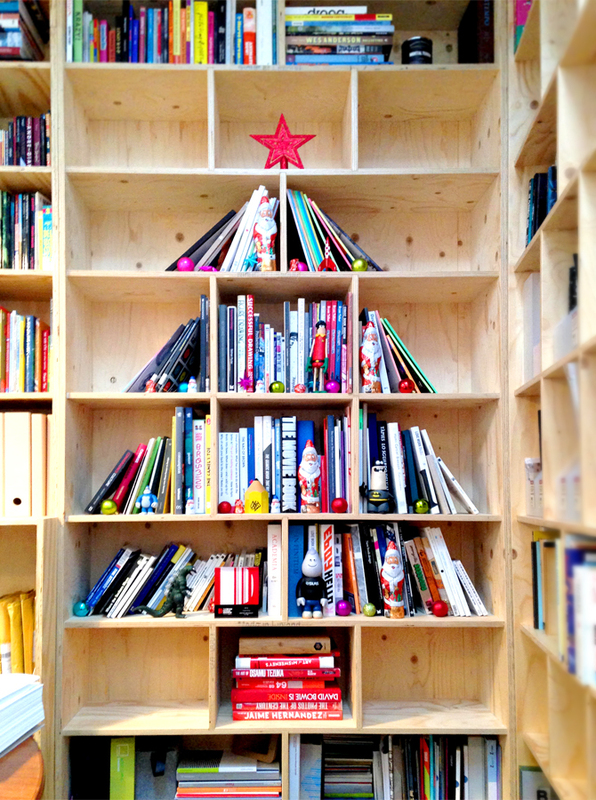 Baxter and Bailey has transformed its book collection for the festive season. Designer Emma Grencis was under strict instruction by creative directors Matt Baxter and Dom Bailey to photograph the shelves beforehand, so that the books could later be returned to their rightful positions. Not sure what a T-Rex has to do with Christmas though. 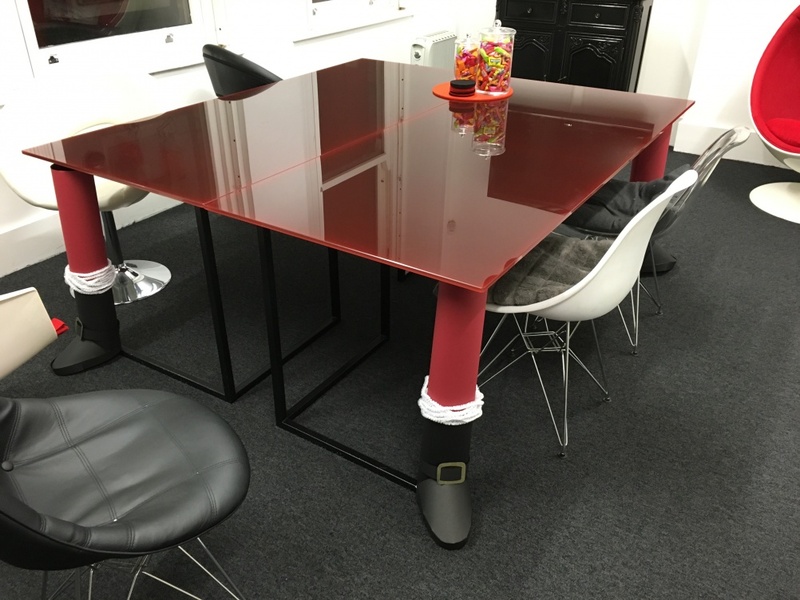 Sherry Design has turned a regular, red office table into Santa by transforming its legs into those of the Claus himself. We’re not sure why they’ve done this, but it’s so unique, we had to feature it. 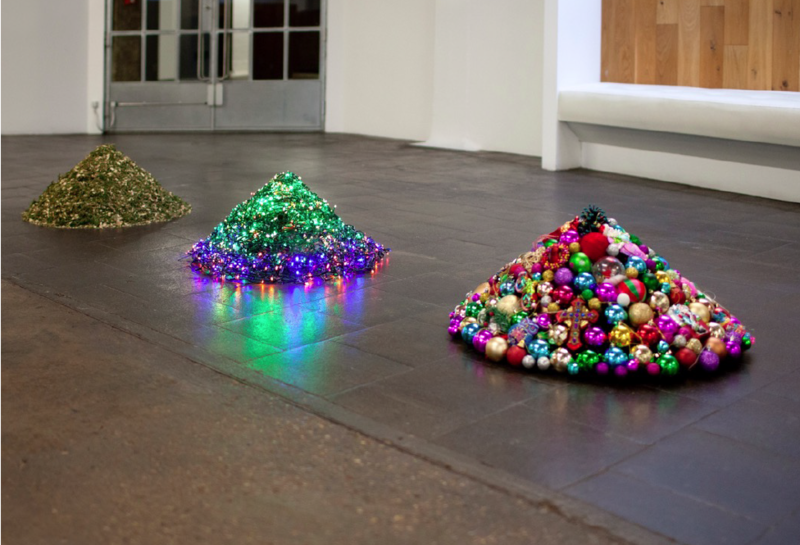 Method’s “Christmas three” sees the classic tree reduced into a pile of baubles, lights and pine needles on the floor. The piles were created by gluing the materials together in an inverted cone mould, and aim to encourage the viewer to take “solstice”, a Pagan idea of coming to a standstill and of reflection. We just think it looks quite nice. Carter Wong has designed a fun window display, which allows members of the team to petrify the public as they walk past the studio. 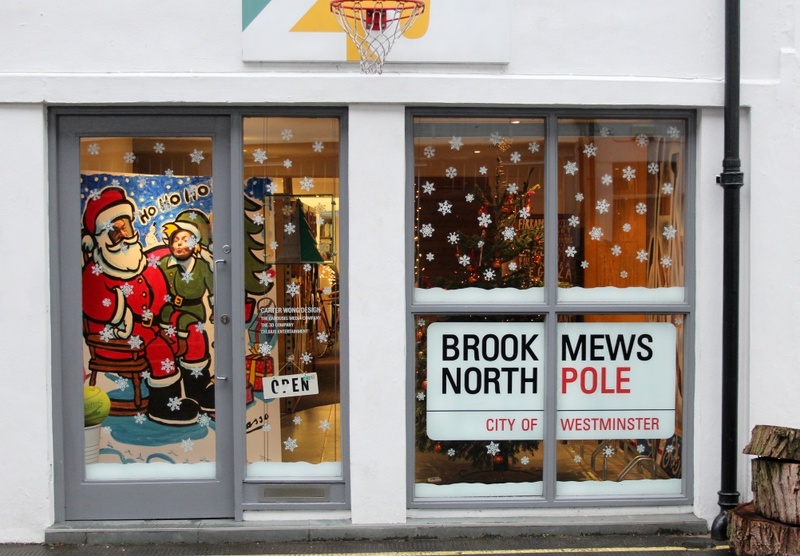 It involves a cardboard cut-out Santa and elf that designers can stick their head in, and a clever bit of wordplay on a road sign transforming their address into the “North Pole”. Simple but effective (and terrifying). 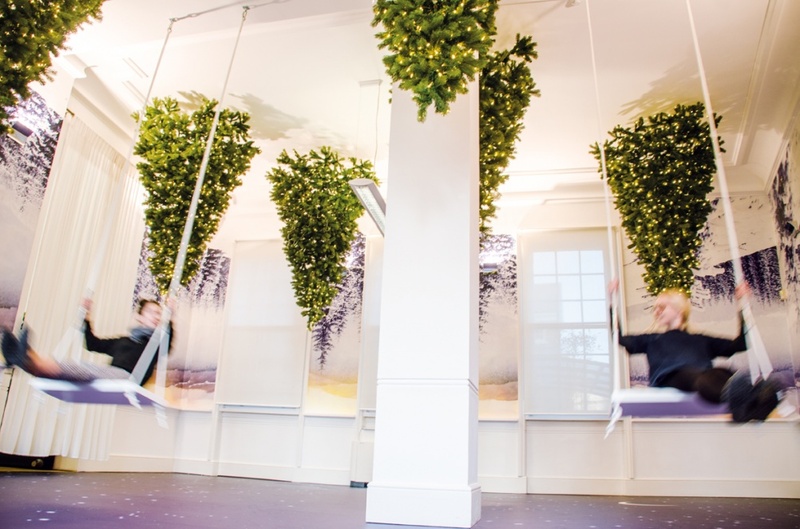 Pearlfisher has made a stupendous effort with its installation Flipping Christmas – a selection of upside-down Christmas trees hung from the ceiling, accompanied by snowy Winter scenes covering the walls, and swings for visitors. It’s meant to hark back to a 12th century tradition, but we think it’s all a bit surrealist.